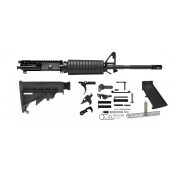 Barrel: Chrome Moly Vanadium 16" Length 1x9 Twist A2 Flash Hider Threaded Muzzle 5.56 X 45 m..
16" mid-length rifle kit comes with everything needed to complete a stripped lower receiver. 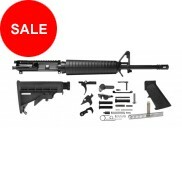 Incl..
16" 1x9 twist, M4 Profile Chrome Moly Vanadium barrel Chambered in 5.56 Nato Flat Top Upper..
Rifle kit comes with complete upper assembly head spaced and test fired, buttstock with components, ..
Parts kit comprised of the following- complete lower frame assembly , compensator, horizontal fore g.. 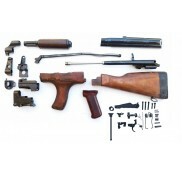 Original 1963 dated Romanian M63 AKM parts kit with wood furniture, non-matched number parts, 7.62X3.. 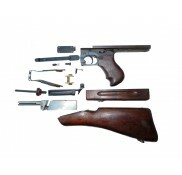 Original RPK parts kits with wood furniture, non-matched number parts, 7.62X39 In good condition&nb.. 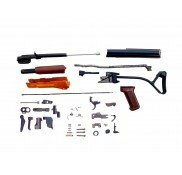 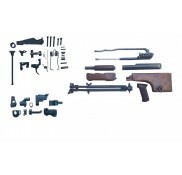 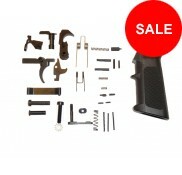 Original Polish Tantal AK74 parts kit with furniture and side folding stock, non-matched numbe..